Girl Kuripot Girl Kuripot: Free Trip to The Happiest Place on Earth! What is one of favorite vacation spots? 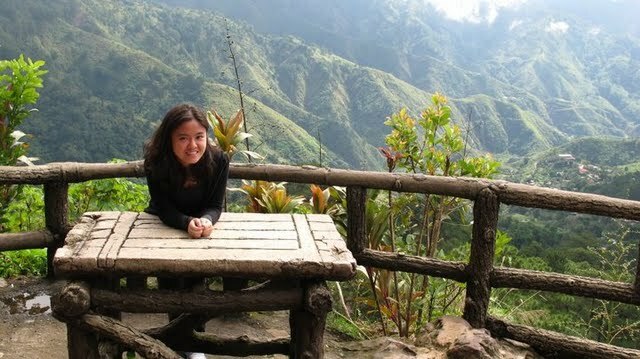 Guiltless Chillin' in Baguio's Mines View Park! Read all about my trips to Baguio here. Sulit.com.ph and Trajet Tours and Travel promote tourism in the Philippines and abroad. Find great travel deals at Sulit.com.ph, the leading online classified ads website in the Philippines. Why is Baguio in my list? 1. Tourists can't fly in. = One has to endure a car ride if you really want to go there. If you're there, then you must really like the place or it's your first time. You don't have to fly to get there. 2. The weather is cool all year round. = They call it Little America and you can have a taste of it with all the structures built for Americans way back when they occupied Baguio. 3. They have fresh vegetables. = I can eat all the veggies I want and more. To clarify, I crave for vegetables whenever I'm there. Cool and weird, huh. I feel healthy when I'm there. 4. "Winter" clothes and boots are normal or acceptable. 5. Fresh strawberries are close. 6. It feels like Christmas up there. = You can roast chestnuts and marshmallows in fireplaces. 7. Baguio is catching up with the times. = Foodie haven? 8. Amazing and breathtaking pictures with nature like my picture above! Visit Baguio and you'll see what I mean. Let's get back to the Happiest Place on Earth. Know where it is? Disneyland! Join the Sulit na Sulit Travel Contest until January 31, 2011! The contest is open to Sulit.com.ph subscribers. The Prize: A 3D2N Trip for 2 to Hong Kong with Accommodations, Breakfast and a Disneyland Tour courtesy of Trajet Tours and Travel and Sulit.com.ph. Plus P10,000 Pocket Money!